When temperatures drop and frosting, rain and snow take over, the road becomes a more dangerous place and your vehicle requires a little extra care in order to function its best. By paying close attention to what your vehicle is telling you and following these car maintenance tips for winter season, you’ll be able to prevent breakdowns and unpleasant accidents to the max. 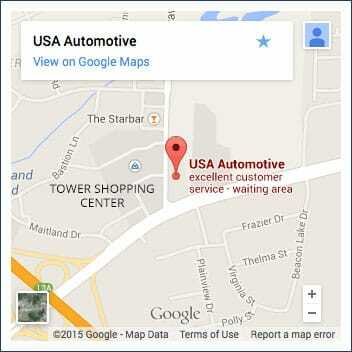 If your car is due a service, make sure to have it done before winter comes. Regular servicing and maintenance checks can help reduce and prevent up to half of the most common problems cars face during the cold weather season. The battery is one of the main parts to keep in mind. Cold temperatures reduce output and require increased use of lights, heater and blower, which all cause your battery to experience a higher strain than usual. Check your fluid level frequently and if it’s low, add distilled water to it. Make sure that the window at the top of it indicates a fully charged state. If your battery is more than five years old and is showing signs of low performance, replace it as soon as possible. Extremely cold temperatures can cause a weak performing battery to malfunction, leaving you stranded. Your car’s tires are the ones in charge of making your car steer, ride and brake properly so they must be in top condition come winter. Check their pressure and thread depth frequently – mechanics recommend a minimum of 4/32” depth for the colder months since they allow for a better grip – and make sure they’re in top condition before winter starts. 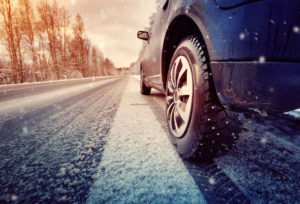 Consider getting all-season tires, since they are especially designed to endure winter’s harsh conditions, paying special attention to front-wheel-drive and stability-control systems. Don’t forget to keep them properly inflated, since drops in temperature can make them to lose air, with tire pressure declining along with the temperatures. An underinflated tire won’t be able to bite down to the pavement through snow, becoming a hazard to yourself and everyone else on the road. Motor oil thickens with cold weather which makes it harder for the engine to turn over. A major car maintenance tip for winter is to use a multi-viscosity oil containing a “W” in its viscosity index, meaning it’s meant for winter use. Whenever you have your oil changed make sure to replace the oil filter as well to ensure the system has the most amount of flow possible. When taking your car in for service, ask for the radiator and heater hoses to be checked for cracks, leaks or contamination from oil or grease. Keep your coolant mixture in a 50/50 ratio combining antifreeze and water, so that it doesn’t freeze once temperatures reach below zero. If the weather’s getting colder than that, a 60/40 or 70/30 ratio can work, but do not use antifreeze to water ratios any higher than those. Obviously you want your windows to be as clear as possible when driving. Winter calls for special measures to guarantee your visibility, so give your windshield a good clean inside and out and keep your washer fluid properly functioning. Check for nicks and tears on your wiper blades often and use an ice scraper on especially frosty mornings to clear your windows. If you park your car outside, leave the wipers in a raised position when you know it’s going to snow overnight, so that they don’t freeze to the windshield. Make sure all of the vehicle’s lights work properly and their lenses are clean, guaranteeing greater visibility at night, and during the day other drivers will be able to see you better. A shovel, torch, blanket, scraper, de-icer, snow grips for your shoes, high visibility vest, food and drink supplies can save you in case of an accident or breakdown on the road. Remember, the best car maintenance tip for winter is to stay alert and in control of your vehicle, driving according to the road and weather conditions. Following these simple car maintenance tips for winter can assure you that your car is fully prepared to face the hardest of weather conditions. When prepared, accidents and breakdowns due to temperature drops can easily be avoided.